This week, we caught up with Carol Feller, who designs gorgeous traditional garments with a contemporary twist for adults and babies. To see all of her patterns, click here. Hello Carol – before we dig into your inspiration and methodology, would you please tell us a bit about yourself? I’m a knitwear designer and teacher living in Cork, Ireland. I’ve lived here most of my life apart from a few years in Florida where my husband is from. I’ve got 4 boys that are growing more rapidly than I though possible and a dog that keeps me company every day when I work! I’ve been working almost full-time as a designer for several years now and I appreciate the flexibility to work around my children’s schedule even if that frequently means knitting until midnight. I think most of us know all about staying up past our bedtimes to knit! What inspired you to first pick up your needles? I don’t actually remember learning to knit; when I was in primary school everyone just learned so I have no memory of not being able to knit! However the decision to pick the needles up again as an adult was a more significant decision. I’d just had my fourth child and sold a business. I had decided to become a full time mother but after about 3 months I was getting a little twitchy. Someone online was talking about a new online knitting shop that had started up in Dublin and I wondered if I could remember how to knit. I quickly discovered that it is in fact just like riding a bike and came right back to me! After you picked up your needles again, how did you find yourself designing garments? What influenced you to take that path? As I began to learn knitting again I quickly became obsessed. I worked my way through many technique books and soon I was modifying patterns. From there the next step was to do my own designs, which I found liberating. When I left school I could not decide between art and maths/science. First I went to art college for a year but missed maths. Then I switched to engineering and qualified as a structural engineer. However neither were really a perfect fit. But once I fell into designing it was like a match made in heaven; I got what I loved from both sides. I especially enjoy designing garments as that’s what I’m thinking about when I sit down with needles. I suspect that it’s probably the engineer in me that likes working with spreadsheets and a more complex shape! Your designs certainly show your penchant for engineering and mathematics, but how would you describe your design style – how does your background in art fit in? I don’t think many designers really set out with a design style in mind but it somehow evolves over time. My style tends to be more classic, wearable designs with interesting details that make them fun to knit but still a wardrobe staple. I want knitters to enjoy wearing their knits as much as they like knitting them. I almost exclusively knit seamlessly as that just makes more sense to me; you can modify a garment so much more easily for your own body. Which are your most popular designs? The first really big hit I had was Adrift which is closely followed by Ravi. However my KAL patterns frequently end up being very popular so the most recent, Capall Dubh and Dark Pearl have seen a lot of love also! What techniques are you currently enjoying using? I’ve always just loved short rows. It’s such a simple technique but there’s so much you can do with it. This was one of the first in-person classes I taught which then became a free on-line craftsy class. However even after recording this class I still love short rows and wanted to write more in-depth about them so I’ve got a new book, Short Row Knits due for release in September. This book is a full short row workshop with 20 patterns that support the techniques. Last month my second Craftsy short row class was also released that shows you more short row techniques and ways they can be used in your knitting. Ooh, we all love a good short row! Do you ever find time to knit for yourself? What’s on your needles when you do? That would be nice! Unfortunately I’m so busy these days that my knitting time is exclusively for work. It’s rather sad to have boxes and boxes of knitwear in your house but none for wearing! The only times I end up wear them are for discontinued samples or failed prototypes. If I’m experimenting with a new style or technique I can end up wearing the experiment. Then either a sample knitter or I will knit up the finished product. What’s next from Carol Feller? Can you give us any clues about what you’re working on? I’ve had an extremely busy year and in the next few months the results of all that work will be coming out. First up will be a booklet with 7 patterns for a yarn company in a brand new yarn. It’s not released yet (the yarn) so that’s as much as I can tell you right now! It is however a beautiful yarn to work with. As I’ve already mentioned my newest book, Short Row Knits, published by Potter Craft will be coming out in September. This was a substantial book, with a full technique/workshop section as well as 20 patterns. This has been several years in the works; first year was the writing, then my husband photographed it in Ireland last summer and the last 9 months have been the editing process. With such a long birthing process I can’t wait for it to be released! In addition to these books I’m planning on expanding my knit-alongs to yarn stores. Up to this point they’ve been exclusively on my Ravelry board but frequently knitters would also love to have in-person interaction so I’m planning on expanding this for the next autumn KAL. If you were a yarn, what would you be and why? That’s a remarkably difficult question! Well I’m Irish, work far too hard for my own good but a bit of a softy…..so maybe Studio Donegal ‘Soft Donegal’! Well, Carol, thanks so much for taking some time out of your busy schedule to chat with us about your motivations as a designer! If you’d like to see the rest of Carol Feller’s gorgeous patterns, click here. Don’t forget to share this post if you liked it, and pin the patterns you love on Pinterest! 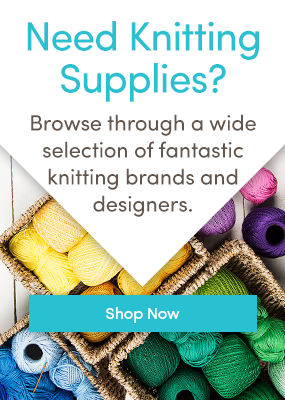 To purchase the designs featured here: click on the image of the design you wish to purchase; this will take you to the page where you can add the pattern to your basket. You can then continue shopping or check out using the normal checkout process. Happy knitting! Last updated: April 27th, 2015. Would like toddlers sweater paterans. I took the short row free Craftsy class and the class and Carol Feller were exceptional. She is such a good teacher that even this “old dog” has learned so many new things that make my knitting even more fun. If you’ve avoided set in sleeves and looked for top down only, try the short row class and it will open up a whole new world of knitting patterns that you can make with beautiful results. I’m looking forward to Carol Feller’s new book coming out in September (I pre-ordered Short Row Knits on Amazon).